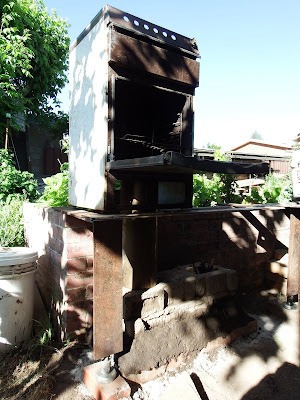 Way back in 2009, while helping clean up a house for a friend, I obtained an old gas oven. My vision was to one day build my own rocket powered oven. I had no idea of how to do that, so the oven sat under a tarp for many years. 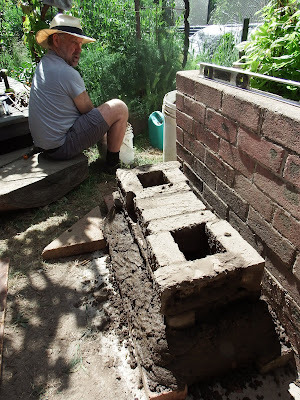 Then, by chance, in April 2016 I stumbled across a workshop being run by appropriate technology experts Tim Barker and Joel Meadows, while visiting Yandoit Farm. It included a section on how to transform an old gas oven into a rocket powered oven. Of course, I had to do the workshop! We spent the morning learning about what rocket power is, how it works and why its so efficient. In the afternoon we built the oven and had roast veggies from it that night. Inspired by the project, I included a photo of the build in the 2017 permaculture calendar to illustrate the principle 'observe and interact' to introduce the concept to a wider audience. 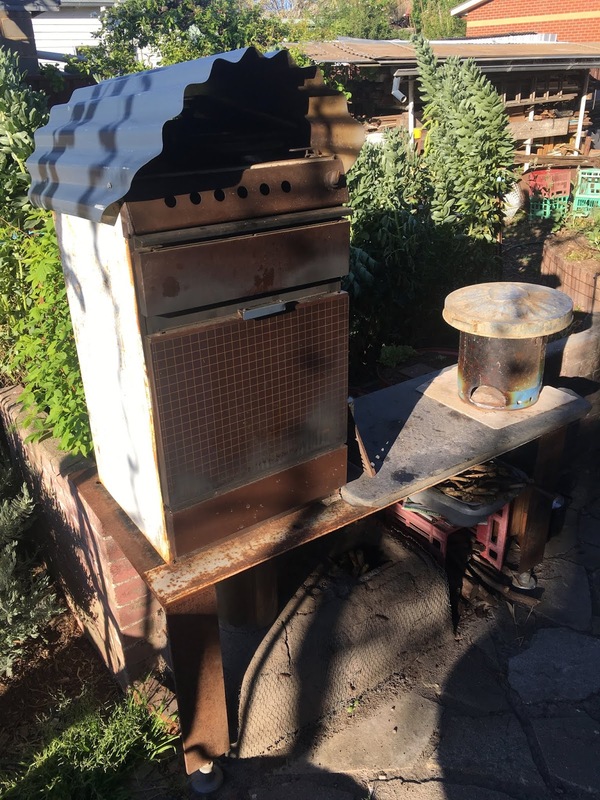 In November 2016 Tim and Joel released an eBook on the complete process on how the rocket oven works and how to build two different types. A black oven, where the heat enters the oven directly, and a white oven where the heat surrounds the oven. With the knowledge from the workshop and the eBook as a guide the game was afoot. It took me a while to collect the materials, and to work out the appropriate space for the construction, but I got it together and selected my birthday as the build day - November 6th in 2017. The idea was to build a 'black oven' in a day, and have pizza that evening. 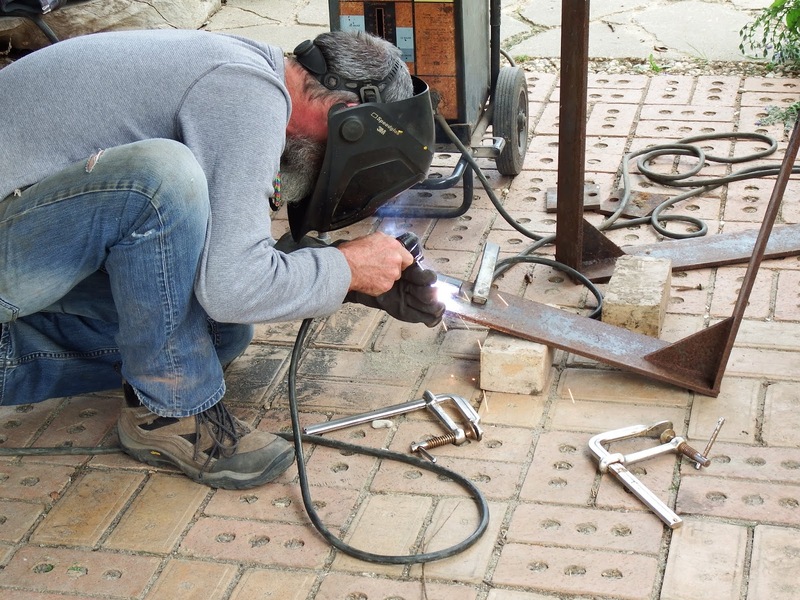 Daniel working on the table base, using materials that I collected. While rough, the oven was ready to go by the afternoon. 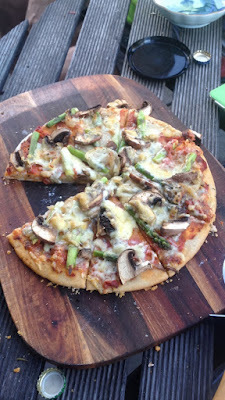 The pizzas were a great success. 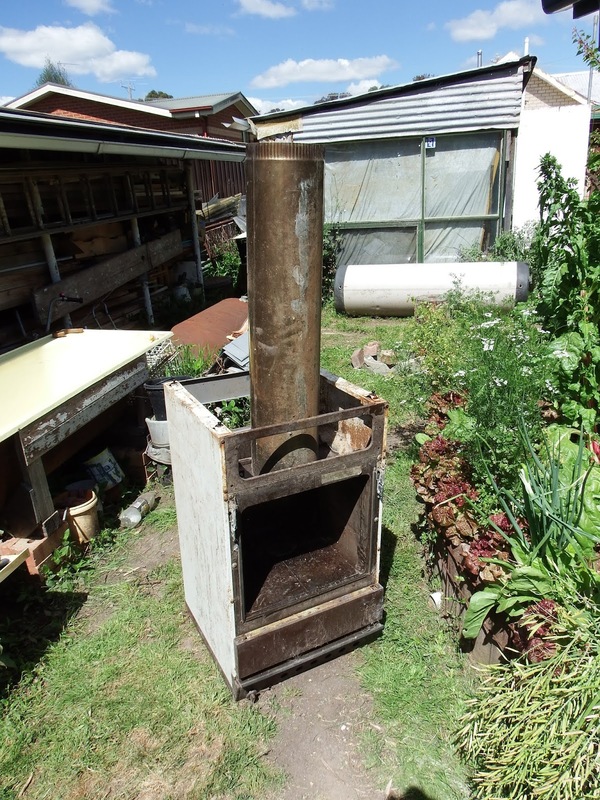 Siting of the oven was an important consideration, I believes that if it wasn't convenient to the kitchen, then it was unlikely to get regular use. 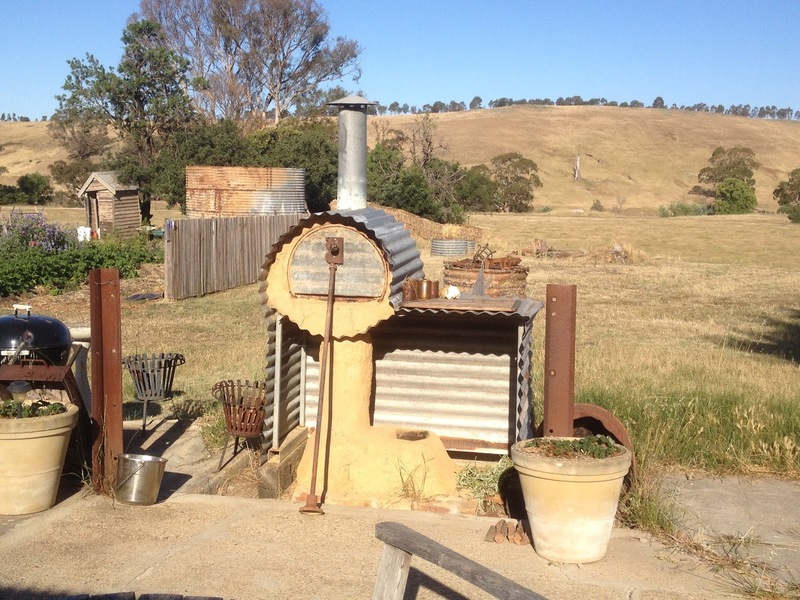 Over the past year and a bit since it's been built we used it on a great many occasions. It's especially appropriate on warm to hot days when you don't want to be adding extra heat to the house (especially when you don't have air conditioning). It's very quick to heat up (not much longer than an electric or gas oven) and does a great job at roasting, baking bread, pizzas and casseroles. It uses just a few hand fulls of sticks to cook a meal. Amazingly efficient when compared to our wood oven inside, or a cob oven which can require a wheelbarrow load or more. One year on, and we've got crazy paving, a slate slab table, an insulated base and a roof to keep off the rain. While we've been very happy with the black oven, it does have it's draw backs. There is a smokey flavour that doesn't suit some dishes, like deserts. Baking dishes get black soot on them - which is messy to clean and inevitably gets on your hands and clothes. For those reasons, we are looking to replace the black oven with a white oven, using an old electric wall oven that I acquired from my next door neighbour. I now have the experience and confidence to have a go at that, and I can use the same base to work from. The temperature control takes a while to master, mostly by using small sticks for a fast hot burn, or larger ones for a slower, cooler, more consistent heat. You can't really use it on days of total fire ban, which are the days that you most want to keep the heat out of the house. Keep in mind that old ovens are not designed to be outside and will rust. I wouldn't recommend using sawdust with a clay slip on it for insulation, without a protective coating layer on top, as it can burn. 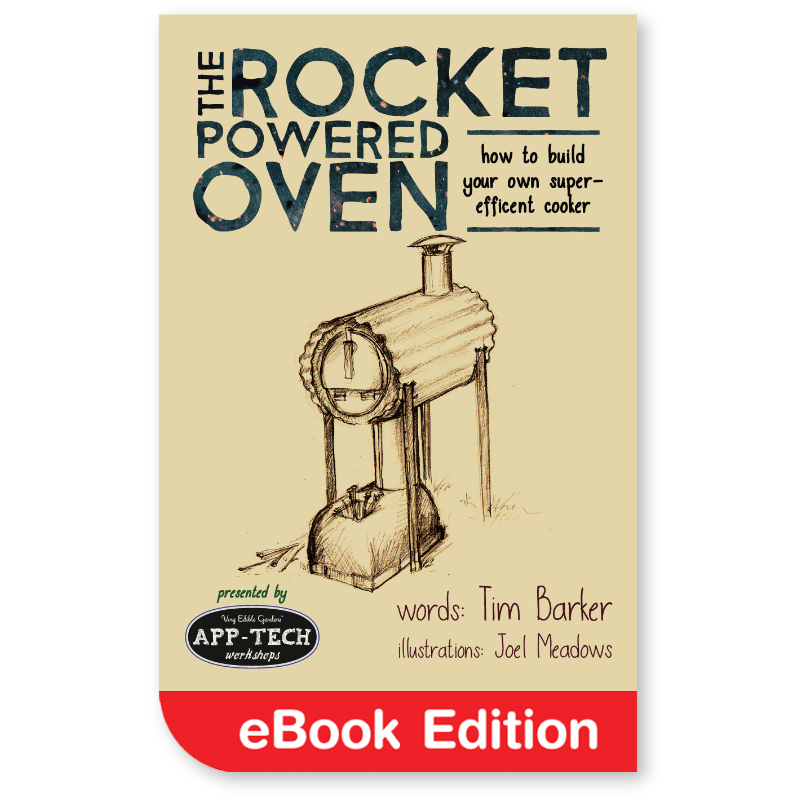 I can highly recommend building your own Rocket Powered Oven, and the instructional eBook by Tim and Joel. It gives a clear explanation of the process, how it works and step-by-step instructions on how to build. What I really love about the guide is the options to use different sorts of materials that you may have available on site. Understanding the fundamentals gives many options on how you can modify the build to suit your specific needs. One of the key reasons why we use the Rocket Oven so frequently is that we put it close to the kitchen for easy access. We also have a shaded outdoor eating area nearby, which we eat at most days during summer. I find that it's easy to manage while giving attention to the nearby garden beds and young plants in the greenhouse.